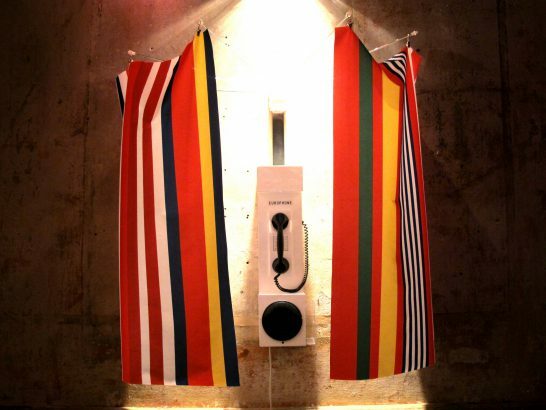 The Europhone is a theatrical research and interview machine – similar to our installation ThAEtrophone. We’ve placed the ringing Europhone into diverse European institutions and tourist hot spots of Berlin in order to collect opinions from passers-by about the future of Europe. The material recorded by the Europhone founded the basis of Interrobang’s performance Preenacting Europe which deals with utopian models of a European society.